Mindfulness is neither an easy practice to put in place nor is it for everyone. 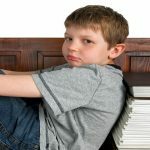 It is even harder for kids because keeping still and focused, as most meditation practices require, can be difficult. Yet more and more research continues to prove the positive effects of mindfulness on our kids’ lives. In one study, researchers found that teaching seven- to eight-year-olds breathing exercises greatly reduced their anxiety levels. Practicing mindfulness can help kids become more attentive and can also reduce stress and anxiety. There is now evidence that mindfulness may effectively replace traditional discipline practices. Few studies, however, have explored the mindfulness practices that work best with kids. There is also little evidence about when is too soon to start practicing mindfulness practices. Montessori education, however, has always been aware of the benefits of practicing mindfulness on kid’s overall well-being. According to Angeline Lilliard, mindfulness is a central aspect of Montessori education. 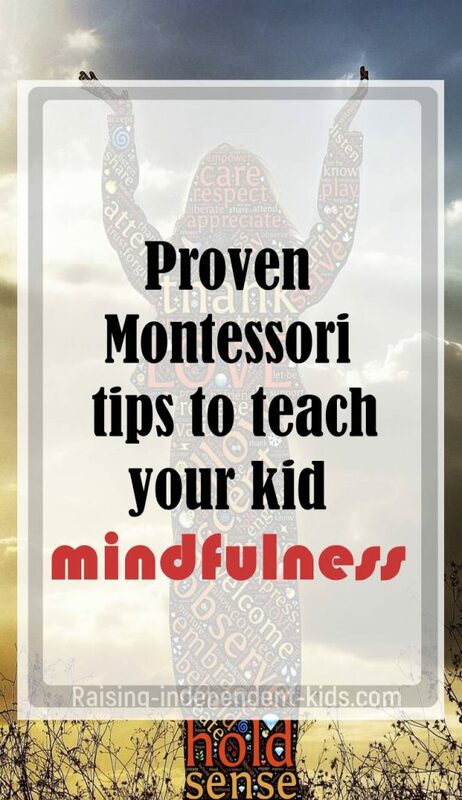 Even the youngest kids benefit from mindfulness practices in Montessori classrooms. There are many benefits of practicing mindfulness with kids – it helps reduce anxiety and hyperactivity, it helps teach kids to calm down, it helps improve focus and concentration, it helps kids connect with their inner selves, and it also teaches kids how to manage their emotions. 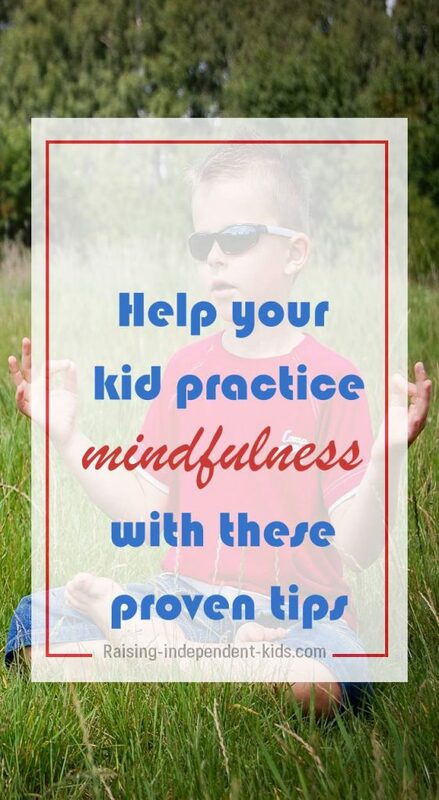 Here are a few practical tips that can help even the youngest kids practice mindfulness. Montessori education has always emphasized the significant impact of sensory experiences on kids’ well-being. Maria Montessori believed that kids became sensory explorers from age 3, and children in Montessori schools are thus taught to distinguish between different smells, sounds, and textures. According to Montessori, the best sensory materials are aesthetically pleasing and simple. Montessori schools encourage kids to make comparisons and to identify the relationships between things. 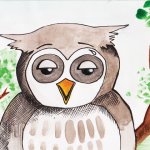 Making comparisons helps kids be more aware of the different senses and enables them to classify sensory impressions. Teaching kids to distinguish sounds is also a common Montessori activity. For instance, teachers can set various bells around the classroom and kids are asked to identify the sounds that match. • Provide your child with materials that stimulate his senses. Materials that stimulate the sense of touch are quite important. For example, encouraging your child to help you knead dough by hand or providing grains he can experiment with can help him practice mindfulness. • Help your child connect with nature. Provide opportunities for her to observe, touch, taste, and manipulate the objects in her environment. The next time you are outdoors, encourage your child to stop and smell the flowers. Providing children with opportunities to concentrate is one of the key principles of Montessori education. Montessori believed that every child was capable of focus and concentration if he or she was provided with the right environment. According to Montessori, concentration transforms kids, makes them calmer and brings out their spiritual qualities. Work that is interesting is absorbing and this is consistent with mindfulness. • Montessori believed that letting children choose the activities to engage in would lead to their full absorption. At home, providing unstructured but stimulating environments provides kids with an environment in which they can choose activities based on their interests. 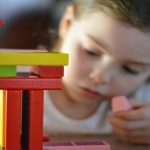 • If your child has problems with focus and concentration, remember that research has identified simple and fun activities that can help reduce inattentiveness. Young children have not yet developed the skills to enable them to keep still for long periods of time. They are therefore likely to struggle with meditation. Walking meditation which is commonly practiced in Montessori schools is a mindfulness practice that is perfect for kids. Montessori came up with the “Walking on the line” activity after observing that children liked walking along a line (walking along logs). She believed that focusing on how one walks helped kids work on their sense of balance. Montessori schools teach children to walk on lines drawn, painted, or taped on the floor. The walking on the line activity can also be accompanied by music during which kids are expected to move to the rhythm of the music. 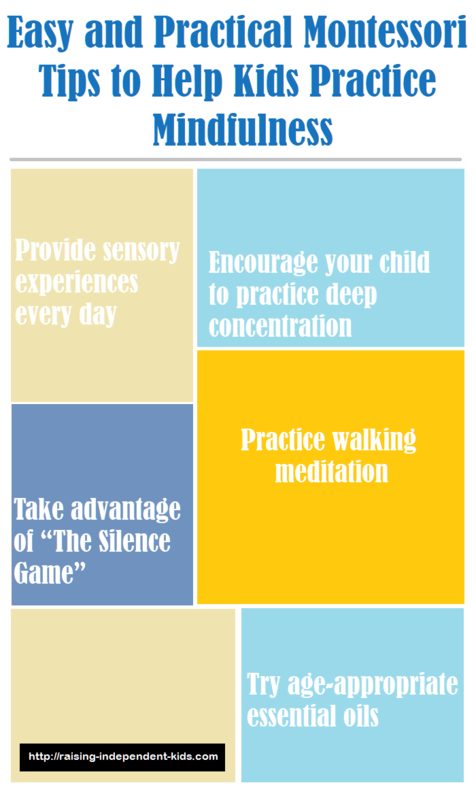 • Walking meditation is a great activity to help kids practice mindfulness. The walking on the line activity is easy to set up and use at home. • You can also use a bell to practice walking meditation with your child. For instance, you can give him a bell and ask him to walk around the room while ensuring that the bell makes no sound. Montessori believed that children loved and needed silence. “The silence game” is used in different ways in Montessori classes. In some schools, a bell is used to call for silence. All children are expected to be silent and to listen to their surroundings. When the moment of silence is over, the children are encouraged to share what they heard in the silence. • There are many ways to use Montessori’s “Silence Game” at home. For example, you could come up with a “Quiet Corner” where the whole family gathers for a quiet moment. Remember to explain what is expected to your kids – make your bodies as still as possible, what do you hear? • Remember that providing opportunities for your child to have stand-and-stare time can also help her connect with the world around her. Relatively new research suggests that essential oil inhalation significantly improves mindfulness meditation. 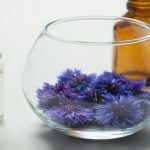 Although using essential oils in classrooms settings can be tricky, some Montessori classrooms have incorporated the use of essential oils in their daily routines. Evidence suggests that the right oils can help reduce anxiety and enhance feelings of calm and relaxation. 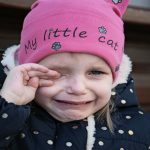 Essential oils can be poisonous for children and there are a few precautions to take when choosing the essential oils to use and how to use them to enhance feelings of calm and well-being in kids.